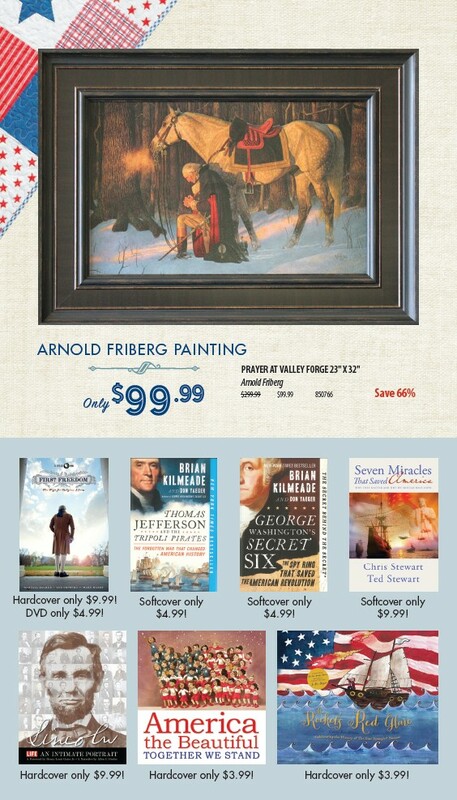 ARNOLD FRIBERG PAINTING s PRAYER AT VALLEY FORGE 23" X 32" Arnold Friberg $299.99	$99.99	850766	Save 66% Only$99.99 Softcover only $4.99! Softcover only $9.99! Softcover only $4.99! Hardcover only $9.99! Hardcover only $3.99! Hardcover only $3.99! Seagull Book Where You Never Pay Full Price for Anything 23 Hardcover only $9.99! DVD only $4.99!